Happy Monday! Hope you all had a fabulous weekend. 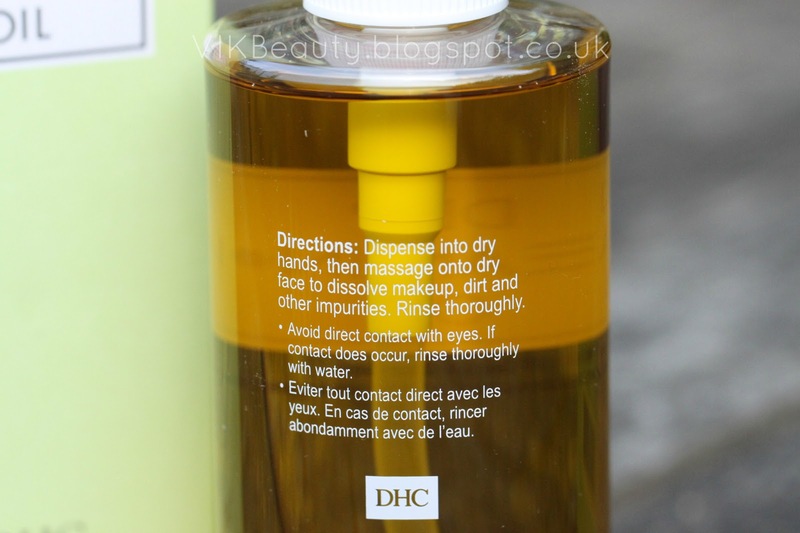 Today I'm talking about an oil from Japanese skincare brand DHC that has really impressed me with how quickly it dissolves my makeup and leaves my skin feeling extremely soft. DHC Deep Cleansing Oil(*) is a water soluable oil that contains Vitamin E and olive oil which we all know are amazing for great skin. The oil is formulated to dissolve dirt, makeup and excess oil. The oil has a subtle scent of olive oil which is actually quite pleasant. As you can see from the instructions above, you need to dispense some oil onto clean dry hands and a dry face. When I first tried the product, I washed my hands (I always wash my hands before I wash my face) and then dispensed the oil onto wet hands. It was definitely a wrong move as the oil is soluable. Once I despensed the oil properly, I applied it onto my face and was amazed at how quickly my makeup broke down whilst I was massaging it in. I normally use 2-3 pumps and find that to be enough. Once you finish applying it, just rinse it off. I'm not kidding when I say your skin will feel ridiculously smooth. After this step, you can just tone and moisturise. However, after I've used the deep cleansing oil, my next step in my routine would be to use my face wash to ensure every bit of dirt has been removed (maybe that's just me being paranoid). I then tone and moisturise as normal. The oil has definitely done the rounds with my sisters and friends and they too are in love with it. I will definitely be purchasing it when it runs out. I have become a fan of DHC products. I reviewed an amazing eyeliner from DHC here. 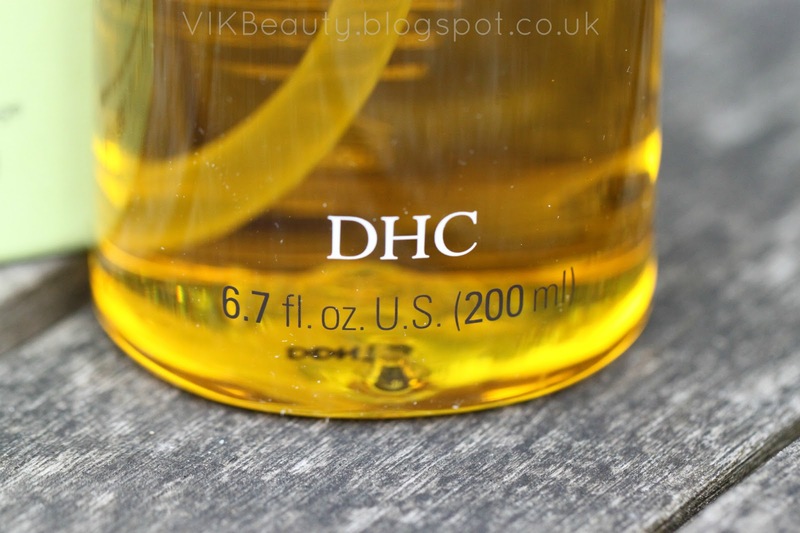 DHC Deep Cleaning Oil retails at £21.50 for 200ml and you can pick it up online and at various high end beauty department stores. Have you tried this product from DHC? Do you have a favourite cleansing oil? *****Don't forget you can follow me on twitter, instagram, bloglovin & facebook! I LOVE this cleanser. It removes every trace of makeup! Great review! The product sounds so good! You know I like me some oils! this sounds amazing i wouldn't mind giving it a go and it is a little cheaper than my current makeup remover plus i thinki would get more out of this if it really does make your skin feel so soft. I will be on the look out.